Okay, this isn't Buzz Words Books usual post but Ann is a personal friend and a fabulous writer. 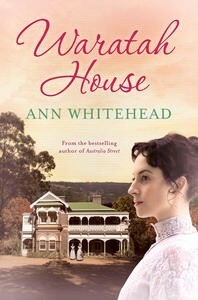 Ann Whitehead will soon be having a book signing for her new adult historical sage Waratah House (Penguin Books). The signing will take place at Newings Bookstore, Dapto Mall, opposite Woolworths from 11am-2pm on Saturday 18 August. Please go along to support our terrific local author who lives at Oak Flats. Please pass this message on to others who might be interested.